You’ll find a great selection of award winning books here. You may also find our books at Amazon.com, Barnes & Noble and many other online book stores. If you’re a member of the press or a reader interested in interviewing or communicating with one of our authors, you’ll want to link to the “Authors / Speakers” page for information. If you or your company are in need of speakers and/or workshops, we can arrange both in order for your group or company to gain understanding in the many areas of expertise or entertainment offered by our authors. Headline Books is located in Terra Alta, WV and has been publishing books since 1988. Prior to that, the company was called Cheat River Publications, Inc., (CRP) and published their first book in 1985, Killing Waters: The Great West Virginia Flood of 1985 which went on to sell over 100,000 copies. After releasing several non-fiction, regional titles, CRP was dissolved and Headline Books, Inc began in 1988. The first title published by Headline Books, Inc. was A James Manchin: A Biography of Controversy. In 2006, fiction was added to the company under the imprint, Publisher Page, and the first novel published was One More Breath. The children’s book division, Headline Kids, was also added in 2006 and the first children’s book published was We Are Whoo We Are. We have a very successful School Show Program and our authors have visited over 2800 schools across the United States. 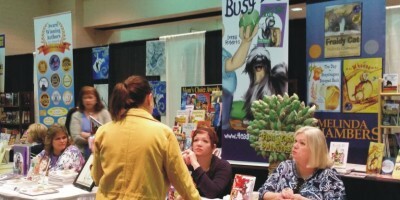 We also provide on-site Book Fairs to schools, groups, and companies. Headline Books is the 2018 Independent Publisher of the Year and was named 2014 Outstanding Independent Publisher of the year by the Indie Book Awards at an award reception at the Harvard Club in New York City. 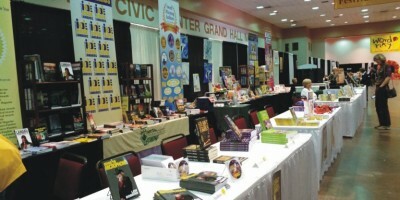 Grand Prize Winners in London, Florida, Beach Book, Midwest, Southeast, Southwest, and DIY Book Festivals years 2010, 2011, 2013, 2014, 2015, 2016, 2017 and 2018, also resulted in an Independent Publisher of the Year Award. Our titles have won 623 National Awards and these include, 85 Mom’s Choice Awards, 46 Indie Book Awards, Creative Child Magazine Preferred Choice and Book of Year Awards, Eric Hoffer Award Finalist, ForeWord Magazine Book of the Year Finalist, Literary Classic International Children’s Book Award, Reader’s Favorite International Book Awards, Moonbeam Award Winner and we have a Pulitzer Prize Nominee. We currently have a movie option on of one of our novels and a film company looking at a YA award winner. Headline Books and authors travel to many events during the year including Book Expo America, NEA (National Education Association) Conference, ALA (American Library Association) National Conference, The Southern Christmas Show (Charlotte NC), state Library Conferences and state Book Festivals to name a few.